Fire activity has varied globally and continuously since the last glacial maximum (LGM) in response to long-term changes in global climate and shorter-term regional changes in climate, vegetation, and human land use. We have synthesized sedimentary charcoal records of biomass burning since the LGM and present global maps showing changes in fire activity for time slices during the past 21,000 years (as differences in charcoal accumulation values compared to pre-industrial). There is strong broad-scale coherence in fire activity after the LGM, but spatial heterogeneity in the signals increases thereafter. In North America, Europe and southern South America, charcoal records indicate less-than-present fire activity during the deglacial period, from 21,000 to ∼11,000 cal yr BP. In contrast, the tropical latitudes of South America and Africa show greater-than-present fire activity from ∼19,000 to ∼17,000 cal yr BP and most sites from Indochina and Australia show greater-than-present fire activity from 16,000 to ∼13,000 cal yr BP. Many sites indicate greater-than-present or near-present activity during the Holocene with the exception of eastern North America and eastern Asia from 8,000 to ∼3,000 cal yr BP, Indonesia and Australia from 11,000 to 4,000 cal yr BP, and southern South America from 6,000 to 3,000 cal yr BP where fire activity was less than present. Regional coherence in the patterns of change in fire activity was evident throughout the post-glacial period. 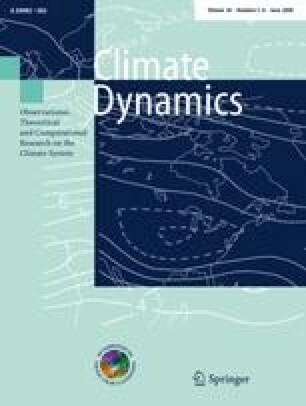 These complex patterns can largely be explained in terms of large-scale climate controls modulated by local changes in vegetation and fuel load. The readers are requested to refer to the section “List of contributors” for the complete list of author affiliation details. The data analyses on which this paper is based were made at a workshop of the Palaeofire Working Group of the International Geosphere Biosphere Program (IGBP) Fast Track Initiative on Fire. We thank the IGBP and Quantifying and Understanding the Earth System (QUEST) for providing funding for this workshop. The construction of the charcoal database has been supported by the National Science Foundation (NSF), QUEST funding to the QUEST-Deglaciation Project and by Natural Environmental Research Council (NERC) funding under the Joint RAPID program to the ORMEN project. Most of the data (published and unpublished) included in the compilation has been provided by the co-authors or extracted from publications by those co-authors who are regional coordinators of the Palaeofire Working Group. We also thank the International Multiproxy Paleofire Database (IMPD) for data contributions. The version of the charcoal database (GCD, V1) used for this paper is available from British Atmospheric Data Center (BADC) (http://badc.nerc.ac.uk/home/index.html) and from the Global Palaeofire Working Group (GPWG) website (http://www.bridge.bris.ac.uk/projects/QUEST_IGBP_Global_Palaeofire_WG). Animations showing the change in charcoal abundance at 500-year time steps from the LGM to present are also available on the GPWG website.